We’ve had simply ridiculous weather of late. It’s gone from icy frost to days of cloud to almost warm and back to heating on in the space of two weeks. And today the sun came out again, and we could even go for a walk without coats! I think it’s a sign that spring is coming – and with it, excuses and opportunities to get outdoors. One of the best ways to get some exercise yourself when you have little children, is putting them on a bike – it ensures you can walk fast enough to get your heart rate up, and if your kids are anything like mine, enforce sprinting from time to time, which I’m told is also a good workout strategy! Ameli received a new balance bike for Christmas. We thought her wooden one was getting a little small, and I wanted something that looked and felt like a ‘real’ bicycle, so we took Kiddies Kingdom up on their offer of a bike to review. This steel-framed bike arrives in a rectangular box, which is brilliant if you’re planning on disguising it for gifting. It is really super simple to construct, and shouldn’t take more than few minutes. Just a matter of popping on the wheels, slotting in the seat and the handlebars. It’s very simple. The bike was smaller than we though, not much bigger than the wooden one, yet weather it’s due to the design or the seat or the wheels, I’m not sure, but she is a lot more comfortable on it. With the last bike, I’d be carrying it within five minutes as her backside hurt from the seat, but with this one she can go for a lot longer. 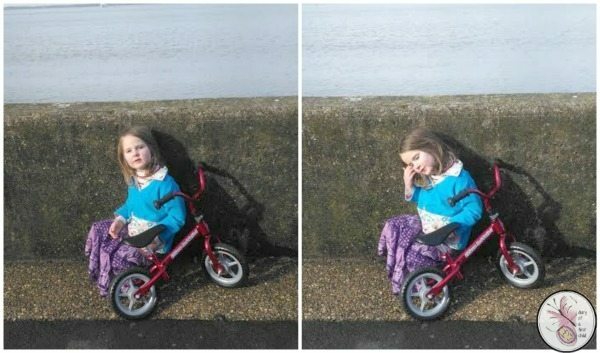 When her legs do tire, eventually, and she needs a bit of a rest, the Chicco Balance Bike is very lightweight, so I can easily carry it in one hand. It’s also small enough to sit on the passenger seat of the car (with one wheel down on the ground) so that I don’t have to faff with bike-racks and so on. 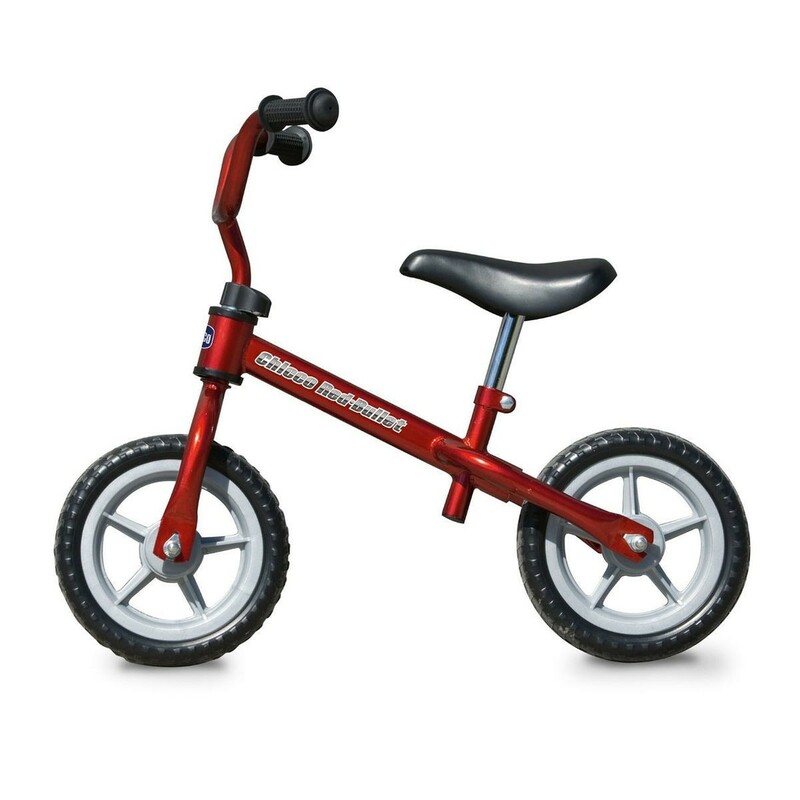 The red Chicco Balance Bike is sturdy and strong, and while falling off and dropping it to the ground has chipped the bright red paint off in places, the integrity of the bike is still perfect. Kiddies Kingdom does a lot more than just bikes – they also do everything you could need for your baby, as well as car seats, bathtime accessories and safety equipment. We were sent this Balance Bike free in exchange for an honest review. All opinions are our own.